Asante T. Samuel (born January 6, 1981) is a former American football cornerback. He played college football at UCF, and was drafted by the New England Patriots in the fourth round of the 2003 NFL Draft. Samuel also played for the Philadelphia Eagles and Atlanta Falcons. Samuel was born in Fort Lauderdale, Florida and attended Boyd H. Anderson High School in Lauderdale Lakes, Florida. As a junior quarterback, he threw for 1,800 yards, and rushed for 500 yards. As a senior, Samuel concentrated on defense, and earned All-State honors, and finished his senior year with 4 interceptions and 75 tackles. Samuel also handled kicking and punting duties. Ten minutes before kickoff of Samuel's final high school game, he replaced his team's injured starting quarterback. He threw two touchdown passes, intercepted two more, rushed for 80 yards, and even worked on special teams returning kicks and punts. Samuel's top receiver in high school, Todd Devoe, later played for the Baltimore Ravens and Denver Broncos, and was a friend & teammate of future NFL defensive back Benny Sapp. Samuel decreased his 40 yard dash time from 5.4 seconds during his sophomore year of high school to 4.39 seconds entering the NFL. Samuel attended the University of Central Florida, majored in business, and played for the UCF Knights football team. He finished his college career with 127 tackles (102 solo, 25 assisted), 8 interceptions, and a school-record 38 passes deflected (the previous record was 34 deflections). Samuel also returned 63 punts for 673 yards, for an average of 10.7 yards per return. In the fourth round of the 2003 NFL draft, with the 120th overall pick, Samuel was drafted by the Patriots along with Ty Warren, Bethel Johnson, Eugene Wilson, and Dan Koppen. At the start of the 2004 season, the Patriots' starting corners were Tyrone Poole and Ty Law. After both were sidelined by injuries, Samuel became a starter, and actually started for the Patriots in Super Bowl XXXIX. He would start at corner the following season,as he maintained that position for the rest of his tenure with the Patriots. In 2006, the Patriots began the season with Samuel and Ellis Hobbs at cornerback. By the end of the regular season, Samuel had intercepted a career-high 10 passes, which put him in a tie for first in the 2006 season (with Champ Bailey of the Broncos); the mark is the second-best ever for a Patriot (in 1964 Ron Hall had 11). Samuel tied the Patriots' mark for most interceptions in a game when he picked off three passes in a week 12 game against the Chicago Bears. He intercepted a pass and returned it for a touchdown twice in the 2006 NFL Playoffs: first against the New York Jets to clinch their 1st round victory and then in the AFC Championship Game against the Indianapolis Colts to extend the lead to 21–3. On February 16, 2007, the Patriots placed the franchise tag on him. After holding out for most of the preseason, Samuel signed the one-year $7.79 million tender on August 27, 2007 to fulfill his obligation under the franchise tag. He was eligible for free agency again at the end of the 2007 season. According to the Boston Globe, if Samuel participated in 60% of the defensive snaps or the Patriots win 12 games, his contract stipulated that the team would not place the franchise tag on him for the following season. Samuel finished the 2007 regular season with six interceptions, returning one for a touchdown. During his franchised season, he was named to the 2008 Pro Bowl and helped lead the Patriots to Super Bowl XLII, where Samuel dropped a possible interception that would have clinched the game for the Patriots. Samuel was thought to be one of the most sought-after free agents of the 2008 NFL offseason. Within minutes of the start of free agency on February 29, 2008, Samuel was reportedly already setting up a meeting with the Philadelphia Eagles. Later that day, he signed a six-year, $56 million contract with the Eagles. Upon being signed, Samuel was quoted as saying, “I just want to be able to win and get back to the Super Bowl.” On August 22, 2008 he made his return to New England during the third week of the preseason. 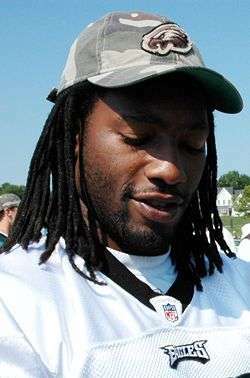 Asante Samuel made his regular season Eagles debut on September 7, 2008 against the St. Louis Rams. He was a Pro Bowl Reserve for his stellar play with 4 interceptions and one touchdown. It was Samuel's 2nd appearance in the Pro Bowl, his 1st with the Philadelphia Eagles. On January 4, 2009, Samuel returned an interception for a 44-yard touchdown, his fourth interception returned for a touchdown in the postseason which set a NFL record. The following week, Samuel picked off Eli Manning, returning the ball to the Giants' two-yard line. This marked his seventh career postseason interception, which after Rodney Harrison's retirement is the most career postseason interceptions among active players. Samuel and Harrison are now tied at fifth in NFL history for career postseason interceptions. On December 20, 2009 against the San Francisco 49ers, Samuel made his eighth interception of the year to break Troy Vincent's record of seven interceptions in a season under head coach Andy Reid. Vincent set the record during the 1999 season. With nine interceptions in 2009, Samuel tied for second in Eagles history for interceptions in a season, with Don Burroughs (1960) and Ed "Bibbles" Bawel (1955). Samuel was selected to the 2010 Pro Bowl as a starter. The Atlanta Falcons acquired Samuel from the Eagles on April 25, 2012, in exchange for a seventh-round draft pick in 2012. Although Samuel totaled 5 interceptions in 2012, he only managed one in 2013 and on February 5, 2014 the Falcons released him. Samuel has a tattoo on his left arm that says "Get Rich To This." It was widely reported during Samuel's post-2006 season contract situation that the tattoo said "Get Paid". Samuel's tattoo is the name of a Goodie Mob song that Samuel liked in college. Samuel has a son, Asante Samuel Jr, who plays defensive back at St. Thomas Aquinas in Florida. He is a rising junior set to graduate in 2018, and is already being heavily recruited. ↑ Borden, Sam (January 19, 2013). "Asante Samuel Keeping the Falcons Laughing and Learning". The New York Times. 1 2 3 4 5 MacMullan, Jackie (2007-01-07). "Payment due". Boston Globe. ↑ "Pats, cornerback Samuel agree on deal". USA Today. 2007-08-28. ↑ Gasper, Christopher L.; Reiss, Mike (2007-11-27). "Did Eagles' plan vs. Patriots warm up the copy machine?". Boston Globe. ↑ Source: Porter, Samuel set for visits • Everybody Loves a Smart Alex - FOX Sports Blogs Archived March 4, 2008, at the Wayback Machine. ↑ "Eagles CB Samuel sets NFL playoff record". Sporting News. 2009-01-04. ↑ Florio, Mike (February 5, 2014). "Falcons dump Asante Samuel, Stephen Nicholas". Profootballtalk.com. Retrieved 2014-02-05. ↑ "Asante Samuel Stats". ESPN. ESPN Internet Ventures. Retrieved 8 October 2014. ↑ Guregian, Karen (2007-10-11). "Tattoo's message lost in translation". Boston Herald. Retrieved 11 October 2007. ↑ "4-Star 2018 CB Asante Samuel Jr. Talks Miami, Michigan Offers". U Sports. Eric Rutter. Retrieved 3 April 2016. 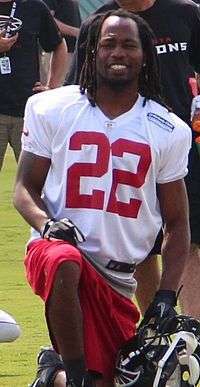 Wikimedia Commons has media related to Asante Samuel.